This time of year is so great for getting out and doing festive activities with friends and family. It is such a great way to create memories and experience new things. Sometimes, you might just want something to get you out of the house as the weather is changing. Well, if you are near West Monroe, Louisiana, Interstate Dodge wants you to know what there is to do to celebrate the holiday season. Attend the City of Monroe’s Annual Christmas Tree Lighting Ceremony on November 19th at the Monroe Civic Center. Starting at 6pm, the public is invited to Mayor Jamie Mayo and the Monroe City Council to see the Annual Christmas Tree Lighting Ceremony. On November 29th, at 4pm, the Holiday Express Train comes to town. The KCS Holiday Express is making a stop in Downtown Monroe. The train has 6 cars that will feature the smiling tank car “Rudy”, a flatcar that will have Santa’s sleigh, reindeer and a miniature village, a ginger bread car, a workshop for the elves, a reindeer stable and of course, a little red caboose. Come visit the train, take a tour and then visit with Santa. This is a great free event for the whole family. From November 21 until December 31, See the Holiday Lights. Visit Downtown Monroe and West Monroe or head out Tree Jays at the NE Louisiana Children’s Museum. Walk around and walk through the tunnels of the lights at the Wonderland of Lights. Also see the newest display, Throwback Christmas. 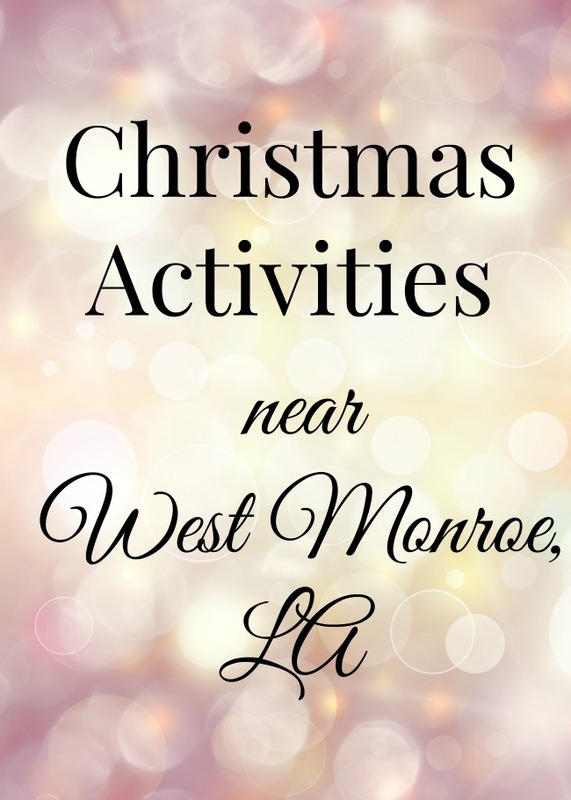 Be sure to enjoy the Christmas season and take part in some of the many festivities of the holidays in West Monroe and the surrounding areas.